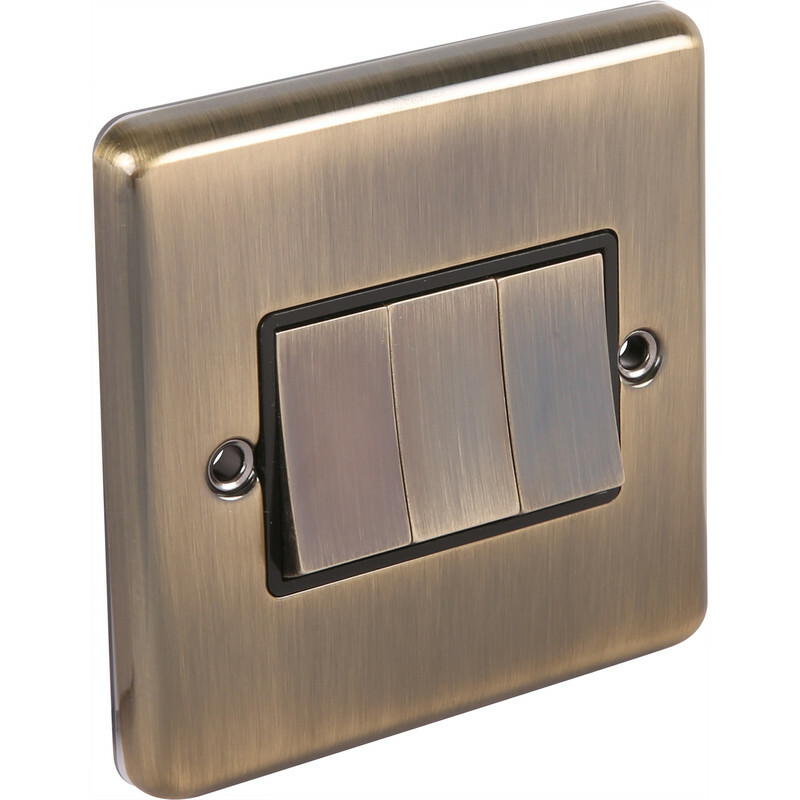 Antique Brass Switch 3 Gang 2 Way is rated 4.7 out of 5 by 7. Rated 5 out of 5 by nonowtdave from fantastic Bargain we love the look of these. they look far more expensive than they are and quality is good Too ! Rated 5 out of 5 by nonowtdave from superb quality Bargain we love the look of these. they look far more expensive than they are and quality is good Too ! Rated 3 out of 5 by Cheesed off Chelmsford from Exactly what I needed I bought it a week ago and happy with it. Rated 5 out of 5 by Hugh2170 from Quality feel Fitted these recently. Impressed with the quality looks and the excellent positive operational feel of the switches. Rated 5 out of 5 by Powlsey from Great value I bought these a few weeks ago after having trouble with our old sockets and decided to change them all for these.